Deirdre Rose Goggins describes herself as an artsy, cheeseburger-and-wine girl. She moved to Austin 8 years ago from San Francisco and feels very much at home in Central Texas. For the last 20 years, Deirdre has been working in law and consulting. She also guest blogs for www.wines.com, using the knowledge she gained while once operating a small wine-touring company in Napa, California. Deirdre strongly shares in the mission of BCRC and has been fundraising for breast cancer ever since she met her friend and breast cancer survivor, Pat, fourteen years ago in Kenya. Ms. Goggins believes that breast cancer affects every household and she is grateful to be able to use her artistic hobbies to give back to those affected by this disease. Deirdre has been designing art bras for BCRC since back when the event was called “Graphic.” This year, she challenged herself and designed a beautiful mosaic made from multi-colored glass beads. 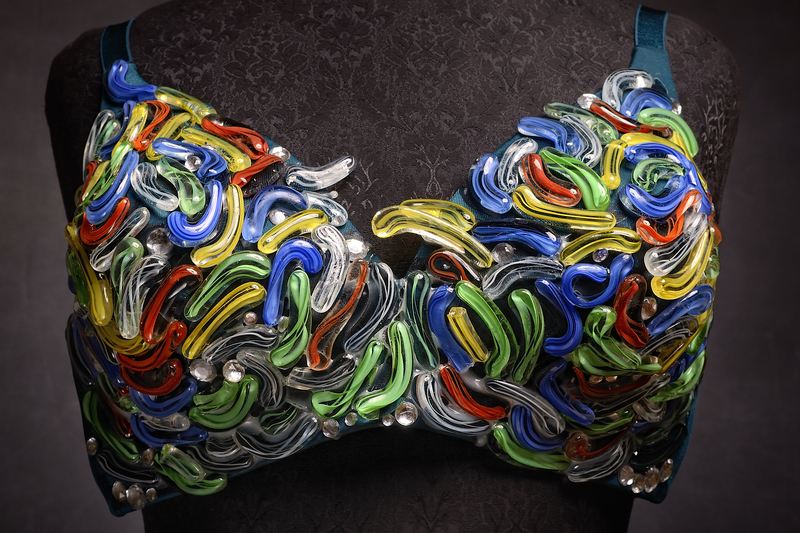 The art bra took several weeks to complete and was created in honor of Deirdre’s sister, Maura, who is currently battling Stage IV breast cancer.